Every train of loaded wagons we saw leaving Rui’an was followed by a train of empties going to the mine. The line climbs steeply all the way from the junction at Zhuangmeizhan to the end of the sidings at the mine, where it levels off. Unfortunately all the locos run tender first uphill. 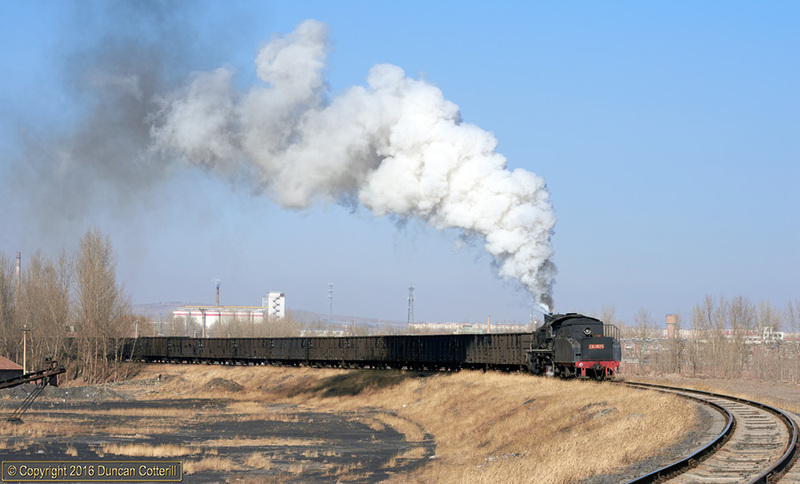 SY 1425 dragged a string of empty coal wagons up the hill to Rui’an on the afternoon of 16 November 2016.